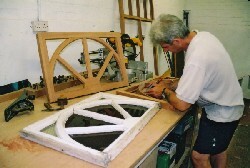 The first steps of the Turner project were to carefully remove the key panels for copying and then remove the remainder without anybody getting hurt! 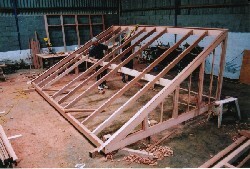 All of our roofs are made up in the factory to establish their integrity and enable accurate measurements to be taken. 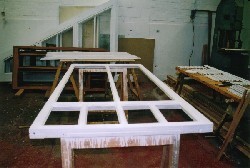 All frames and joists have three coats of Sikkens micro porous paint applied prior to going out with a final coat on site when finished. 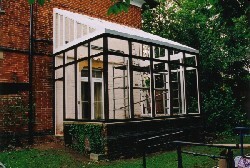 As the original roof had lead strips covering the capping we decided to use our maintenance-free white aluminium caps to hold the glass in place and create a watertight seal. 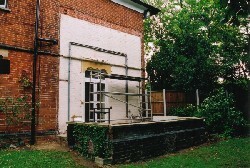 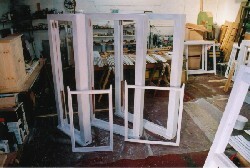 Once the main frame had been installed and the roof fitted and glazed, attention focused on making the window sashes and door to complete the structure.